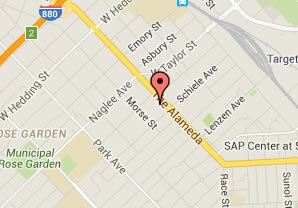 San Jose Divorce FAQ, Have questions about Divorce in San Jose? AThere are two ways to legally end a marriage – annulment and divorce. An annulment is a legal procedure which cancels a marriage between a man and a woman. Annulling a marriage is as though it is completely erased legally, it declares that the marriage never technically existed and was never valid. ASpousal support, as it is now commonly called, used to be known as “alimony.” Spousal support is not mandatory in most states, but can be ordered by a judge under certain circumstances. ATraditionally, the only way to get a divorce was to prove that your spouse had done something that was officially recognized as a justification for divorce. In other words, your spouse had to be at fault in breaking up the marriage. The most common reasons were adultery, spouse abuse, being sentenced to prison for a felony, and insanity. This made it difficult to get a divorce, and a lot of time, effort, and money was spent proving that the other party was at fault. All states have passed no-fault divorce laws to allow a divorce simply because at least one of the parties no longer wishes to be married. AOn average, there is at least a six month waiting period after the initial divorce petition is filed and served on the other spouse before a divorce becomes final. A judge may make a final ruling, or judgment, on the divorce prior to that date. This order will be effective immediately. However, the marriage is not finally dissolved, and the spouses may not re-marry, until after the waiting period. During the period between the judge’s order and the expiration of the waiting period, any action taken by either spouse is a separate act. In short, these decisions will no longer effect community property. AIf the divorce is uncontested and a marital settlement agreement is filed, the spouses may not need to go to court. In that case, all legal documents can be filed with the court, and the judgment can be sent to you. However, the court may request a formal or informal hearing. At an informal hearing, the judge may ask questions about certain facts presented in the papers. At a formal hearing, the divorce case must be presented from the beginning. When is a spouse eligible to receive spousal support? AA spouse is not automatically entitled to receive spousal support upon separation or divorce. First, the court must determine that the spouse seeking support is eligible to receive it. In determining whether or not to award support, the court shall consider the circumstances and factors that contributed to the dissolution of the marriage. The court is specifically directed to consider the grounds for divorce such as: adultery, willful desertion or abandonment, cruelty or apprehension of bodily harm, and the conviction of a felony and sentence to confinement for more than one year. The court must first determine whether either party is barred from receiving support because of adultery or another fault ground. If there is no bar to an award of support, the court must weigh the relative needs and abilities of the parties, taking into consideration numerous factors. AIn determining custody, the court shall give primary consideration to the best interests of the child. The court shall assure minor children of frequent and continuing contact with both parents, when appropriate, and encourage parents to share in the responsibilities of raising their children. As between the parents, there shall be no presumption or inference of law in favor of either. Would I be entitled to a portion of my spouse’s retirement? AYes, especially if you have been married for more than 10 years and do not have a retirement plan for yourself. What happens at an uncontested divorce hearing? AQuestions are asked of you and a witness concerning the marriage and separation. Your attorney will attend and the hearing rarely runs over 15 minutes. What happens at a contested divorce hearing? AA judge will hear divorces in which the contested issues are custody, visitation and/or support. In divorces in which there are also contested issues of fault and/or equitable distribution, the divorce trial will be bifurcated, meaning a judge will determine custody, visitation, and support and the other contested issues will be heard by a divorce commissioner. The judge will hear testimony from each party and counsel for both parties may present witnesses, including experts. A judge’s determination on the issues of custody, visitation and support will be final. You have suffered substantial physical or mental abuse as a result. You have incurred illegal presence, entered without inspection, criminal records, misrepresentation/fraud to immigration, and etc., you may obtain a 601 or 601a waiver to waive your inadmissibility after your immediate relatives who are US Citizens petitioned Permanent Residency for you. You came to the United States because you have suffered persecution or fear that you will suffer persecution. You will be able to apply for Work Authorization 150 days after you filed your Asylum application. You have to file Asylum within One Year of your entrance unless certain exceptions have been met.